Looking for something to do with your little-ones this holiday? Why not print one of our FREE printable door hangers. They can have fun colouring it in and ticking off the Christmas tasks on the reverse... then they can hand on their door to let Santa know to stop by! Autumn is here and the leaves have already started changing. As the leaves start to fall to the ground you will start to notice all the different shapes sizes and colours there are. Some leaves have jagged edges, some are smooth. Some leaves turn rusty browns and oranges while others are evergreen. Get outdoors and find what leaves you can collect, then check them off agains our spotting page, colour them in, then tick them off! We spotted a lovely image of flower petal wristbands on Tiny Trowel's Facebook page. We love following the Tiny Trowels club and all the exciting projects that they do and decided to have a go ourselves! Take a look at our 'how to' guide and have a go for yourself! A huge part of the fun of gardening is eating food that you have grown yourself! Even if you haven't grown your own vegetables, Pizza Faces are great fun to make and a great opportunity to get creative. Paint yourself a bright and colourful pot for your garden, then plant it up with a beautiful flower! These pots are super fun and really easy to make! A great way to make small creatures comfortable in our outside space is to give them a lovely place to live. Bug Hotels are perfect for this as they create loads of tiny spaces for them to hide! Everyone loves to see butterflies in the gardens and out on country walks. They have beautiful colours and patterns and flutter around our outdoor spaces. Find out more about The Big Butterfly Count and download out butterfly colouring pages! Lettuce is one of the easiest things to grow yourself. You don't needs a lot of space or any specialist equipment, all you need is a packet of seeds, some compost and a container and you are ready to go! Strawberries are some of the easiest fruits to grow in your garden. They can be planted in containers and are suitable for all sorts of spaces, big and small. Take a look at our simple guide on how to plant your own! Herbs are great to grow yourself! They are simple to look after, totally tasty and packed full of healthy nutrients! Find out all about our favourite herbs and how they can be used, then find them all in out herby word search. Mini beasts are welcome visitors in Garden Store gardens! We love all creepy crawlies and when you start to look closely in your garden, it is amazing how many there actually are! Download our mini beasts colouring page and see how many you can spot! National Children's Gardening Week is all about learning how rewarding it is to grow your own vegetables and fruit. If you are growing strawberries this year you will need a recipe to show off all of your hard work! Why not make a batch of our simple and delicious summer fruits lollies. Packed full of fresh fruit and yogurt they are a great healthy treat! Continuing with our support of Nation Children's Gardening week we have created a a set of printable Nature Colouring pages. Download, print and colour! Pea shoots are sweet and tender and are really tasty in salads! They are SUPER easy to grow yourself and are exciting because they grow so quickly! This week is National Children's Gardening Week and they are encouraging us all to get growing! So, take a look at our 'How To' video and try growing some yourself! Next month we will be supporting National Children's Gardening Week. It is a great time to get kids growing. Take a look at our article all about this event and find out how you can get involved! Enter out Spring colouring competition to be in with a chance of winning one our Garden Store Get Gardening Kits! Our simple Pot Pets can be created and turn a great Easter gift in to a really CUTE one! Make your own gang of Pot Pets and treat your friends and family to their own Easter surprise!!!! Now we are heading out of winter and in to spring, our gardens are coming back to life again! Download our Spring Bulbs colouring page, get creative and see what spring bulbs you can spot in your garden. 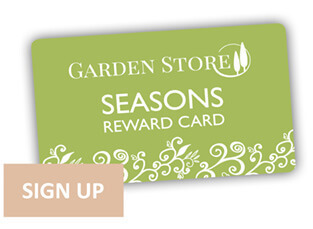 In the months of January and February, Garden Store has a real focus on birds and wildlife. Download our Garden Birds colouring page, get creative and carry on spotting. Our Gallery page where we display all the photos of planting, cooking and crafting achievements that you all send us!